There’s a lot of debates out there about the two most prolific francizes Twilight and Harry Potter. Let’s get things strait once and for all. Who’s the best? Sorry for no source but I got it a long time ago and I don’t really remember where from. It doesn’t matter if you’re Team Edward or Team Jacob, both sides would agree ‘Alice’ is one of the most engaging – and interesting – characters in the Twilight universe. As brought to life on the screen by the gorgeous Ashley Greene, Alice is someone you’d want as your sister or best friend, despite the fact she’s a powerful vampire who can see the future. The action heats up in the third film of the Twilight series, Eclipse, with Alice and the whole Cullen family doing battle against a gang of newborn vampires created to do the bidding of Victoria (Bryce Dallas Howard). 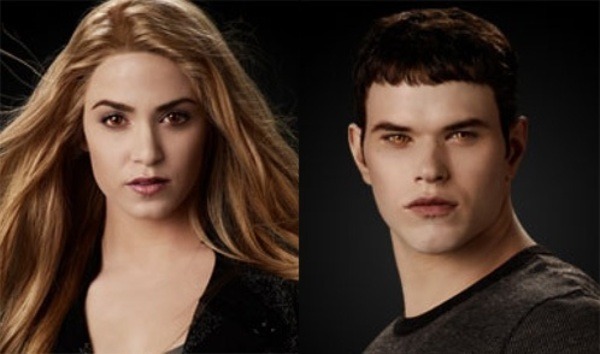 And although preparing for battle – and the continuation of the Jacob/Bella/Edward love story – is the focus of the film, Eclipse also takes the time to show the close, loving relationships between members of the Cullen family, with scenes spotlighting the origin of Jasper (Jackson Rathbone) and Alice’s relationship. Now that you’ve finished the third film of the Twilight series, is being a part of this franchise everything you expected it to be? The next one is even more adult. Do you think Breaking Dawnwill still manage a PG 13 rating? Can they pull it off? The heart and soul of Twilight, Bella Swan and Edward Cullen have captured the imagination of millions worldwide. This modern-day Romeo and Juliet come from very different worlds – human and vampire. Everything is conspiring to keep them apart, but their intense chemistry and passion for one another will not be denied. To quote another Shakespeare play, the course of true love did never run smooth, and Bella and Edward know that for a fact. Their relationship has put both of them in danger — and it’s only going to get worse. Will their love be enough? Most of us have had this experience: One of your parent’s friends has a kid the same age you are, so you’re expected to be friends, with maybe a bit of puppy love thrown in. However, most of us don’t encounter a guy like Jacob at the backyard barbecue — sweet, caring, abs of steel, and oh yeah, that puppy love is literal because he becomes a werewolf. Jacob has been a stalwart friend to Bella since she first moved to Forks, but the relationship deepened when Edward left town. Now Jacob wants something more with Bella, and Bella may not be able to resist. This triangle is one of the essential struggles of the whole series. 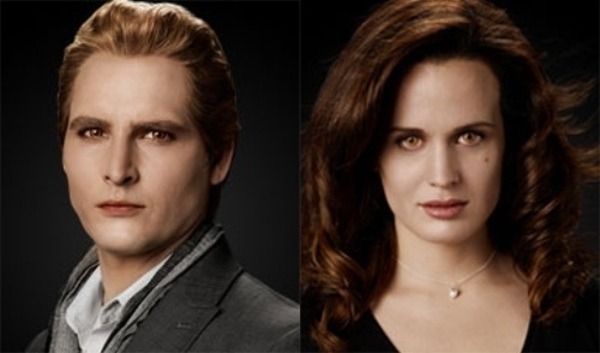 Husband and wife Carlisle and Esme are the proud parents of the Cullen coven, but it took almost 300 years for them to find each other. Carlisle became a vampire in 1640s, and lived alone for years. He managed to go to night school at some point over the course of three centuries and became a doctor. In 1911, he treated a sprightly teenager’s broken leg… and met his future wife. Carlisle encountered Esma again in 1921, after she attempted suicide after the death of her child. Seeing she was near death, Carlisle turned her. Soon after, they fell in love and married. As time went on, their family grew as more vampires joined their coven. 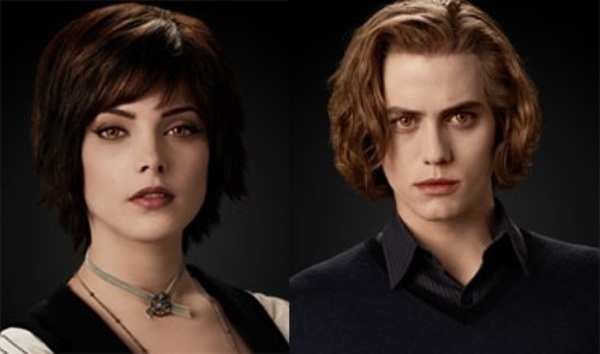 People talk about a couple who were “meant to be,” but with Alice and Jasper, we mean it. Alice had a vision of her soulmate and finally found him in a diner in Philadelphia. 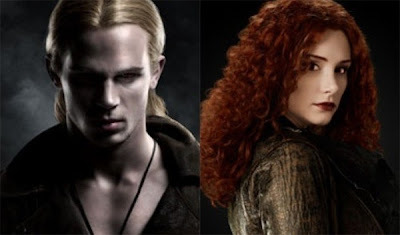 The lovebirds then tracked down the Cullens and joined the peace-loving, “vegetarian” coven. The relationship is not without its troubles, which often center around Bella — Alice considers Bella to be like a sister, while Jasper… well, he sometimes considers Bella to be like a really good steak. It’s a tale as old as time: Boy meets girl, boy turns out to be abusive idiot who rapes and nearly kills girl, girls gets turned into a vampire by a kindly doctor, girl gets rejected by boy for the first time in her life, girl sulks, girl meets boy who has been partially eaten by a bear, boy also gets turned into a vampire by the same kindly doctor, girl and boy become soulmates who will never be parted. While their love is strong, Rosalie isn’t always happy with their lives — she desperately wants to have a baby, but vampires can’t conceive. Leah Clearwater and Sam Uley were young lovebirds before their transformations into werewolves. You’d think the couple that shapeshifts together stays together, but you’d be wrong: Sam imprinted on Leah’s cousin, Emily Young, making her his one true love for all eternity. Once Leah makes her own transformation into a werewolf, she understands that Sam and Emily were meant to be, but that doesn’t make it any easier for her to deal with. The fact that she can hear all of the pack’s thoughts– including Sam’s goopy-love-poetry thoughts for Emily — make it that much harder. Sam and Emily are soulmates — something neither of them realized until Sam became a werewolf and imprinted on Emily. On the upside, it means that Sam will be completely devoted to Emily for the rest of their lives together. On the downside, dating a werewolf can be dangerous — when Sam lost his temper and shifted into wolf form, he mauled Emily. Now Emily lives with the scars and Sam lives with the guilt. In a recent interview on the Tonight Show with Jay Leno, star Ashley Greene talked about her path to acting and to Twilight. Beginning with her Christian upbringing in Jacksonville, Greenedescribed convincing her mother to let her attend an alternative high school, and convincing her again to let her move to Los Angeles to pursue acting. So, at the age of 17, Greene graduated early from high school and moved to Los Angeles alone. She paid her dues for two years, through tiny apartments, crazy roommates, and early parts on shows like “Crossing Jordan”, “MadTV”, and “Desire” before finding the world of Twilight.